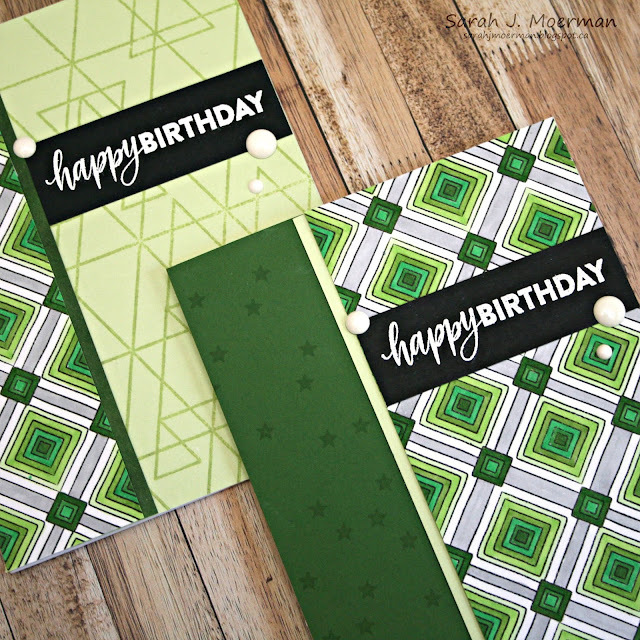 I'm back today to share a card set featuring the Simon Says Stamp Deco Diamonds Background Stamp and also annouce the winner of the Simon Says Stamp July Card Kit. 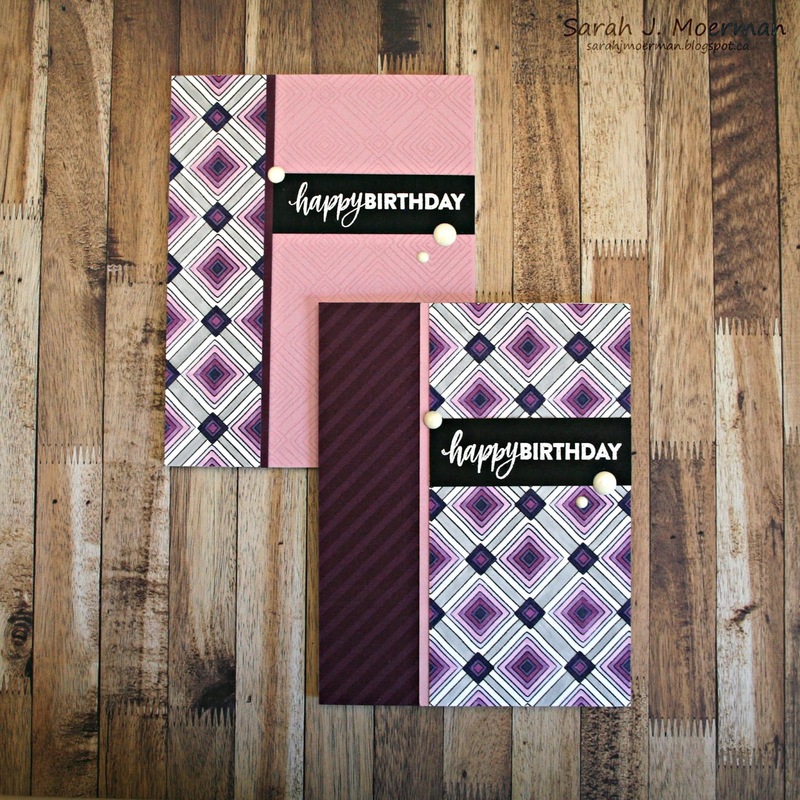 For today's card set I stamped the Deco Diamonds Background Stamp on five 4 1/4 x 5 1/2 inch panels of White Neenah Cardstock with MFT Black Licorice Hybrid Ink and coloured them with monochromatic colours of Copic Markers. 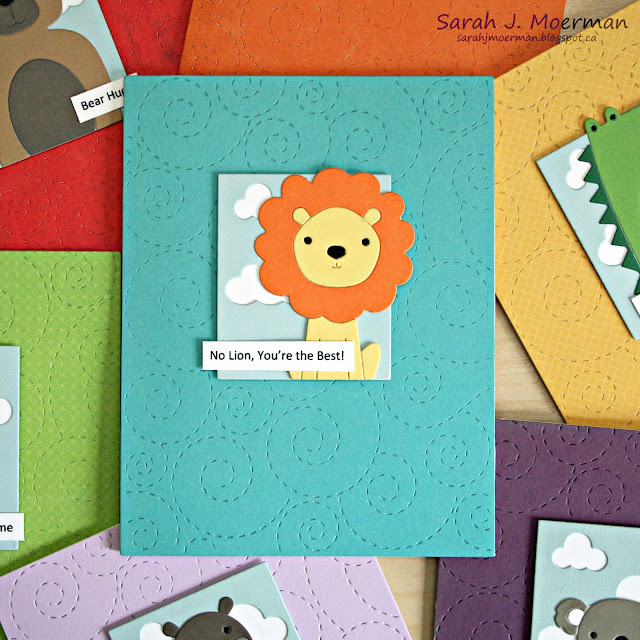 I then cut each panel to use on two cards. 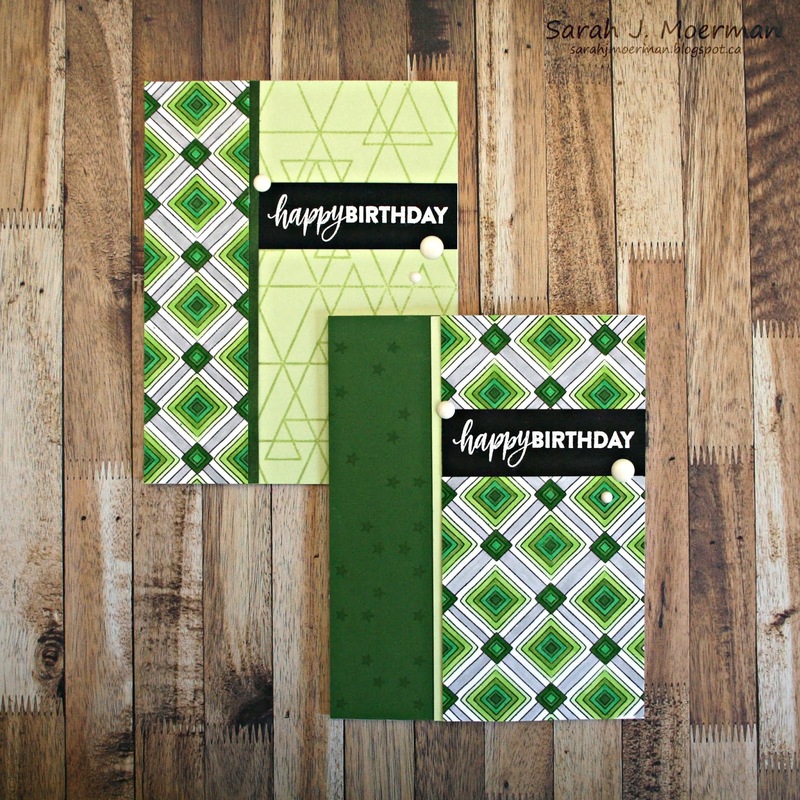 Matching cardstock was stamped with Simon Says Stamp background stamps (see supply list at the end of this post) with either VersaMark or coordinating coloured ink. 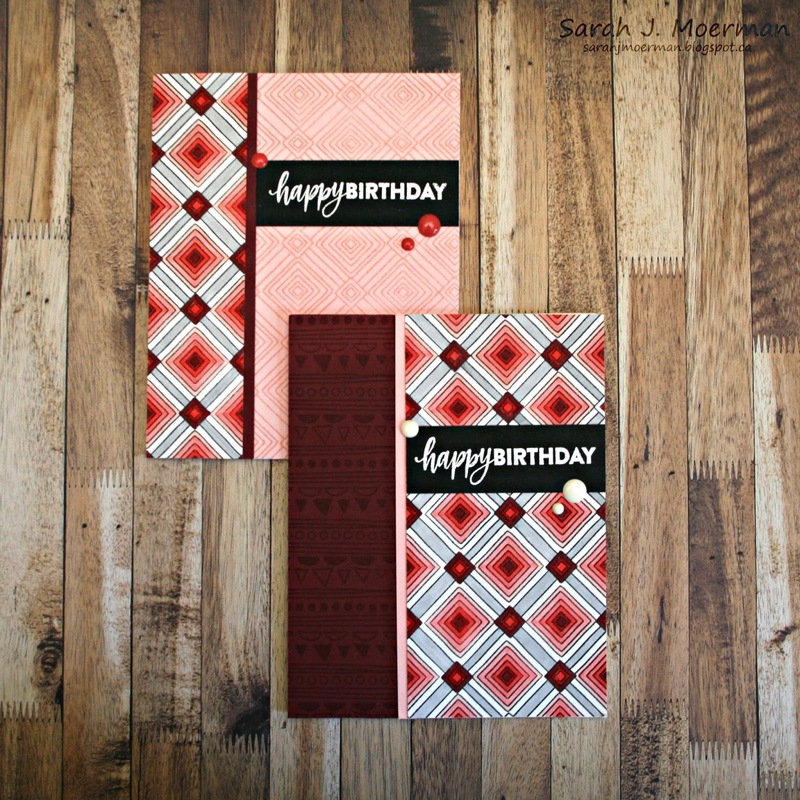 The card fronts were then asembled with a thin strip of matching cardstock seperating the two stamped sides. I white heat embossed the sentiments from the Simon Says Stamp Brush Stroke Messages onto Simon's Black Cardstock and finished the cards off with enamel dots. Congrats Maria! Please message me via the contact button on my side bar with you mailing info so I can pass it on to Simon Says Stamp! 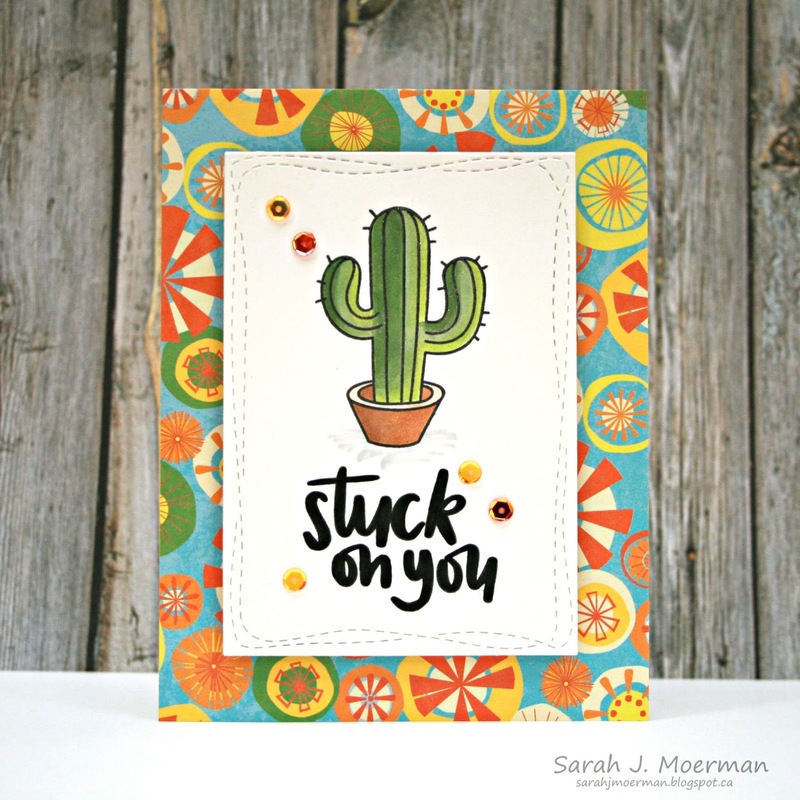 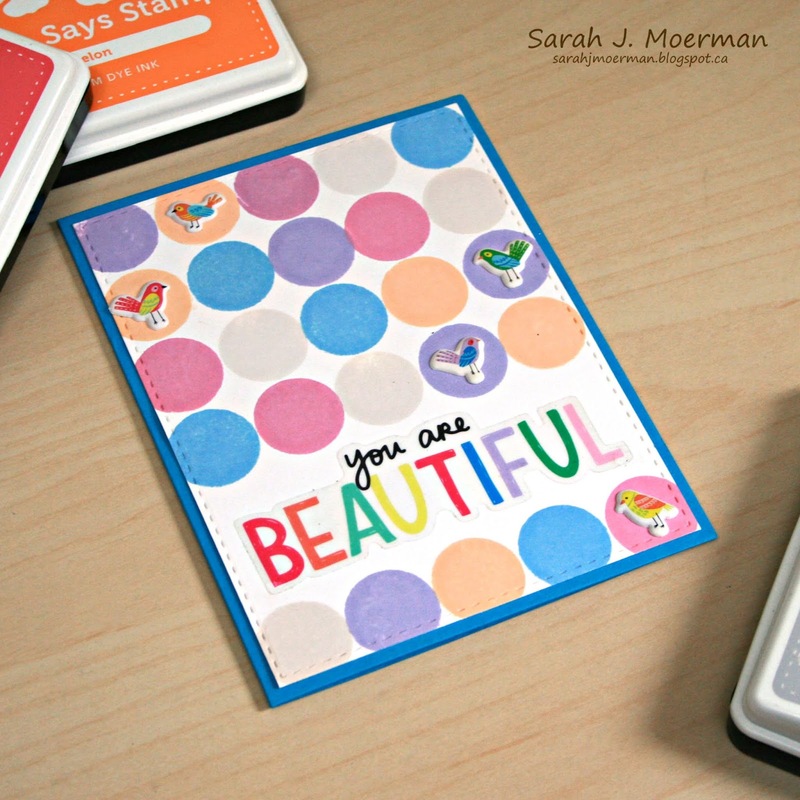 I'm back to share a final card featuring the Simon Says Stamp July Card Kit. For this card I diecut a solid piece of blue paper from the Carta Bella Summer Splash 6x6 papers with one of Simon's Wonky Rectangles Dies. 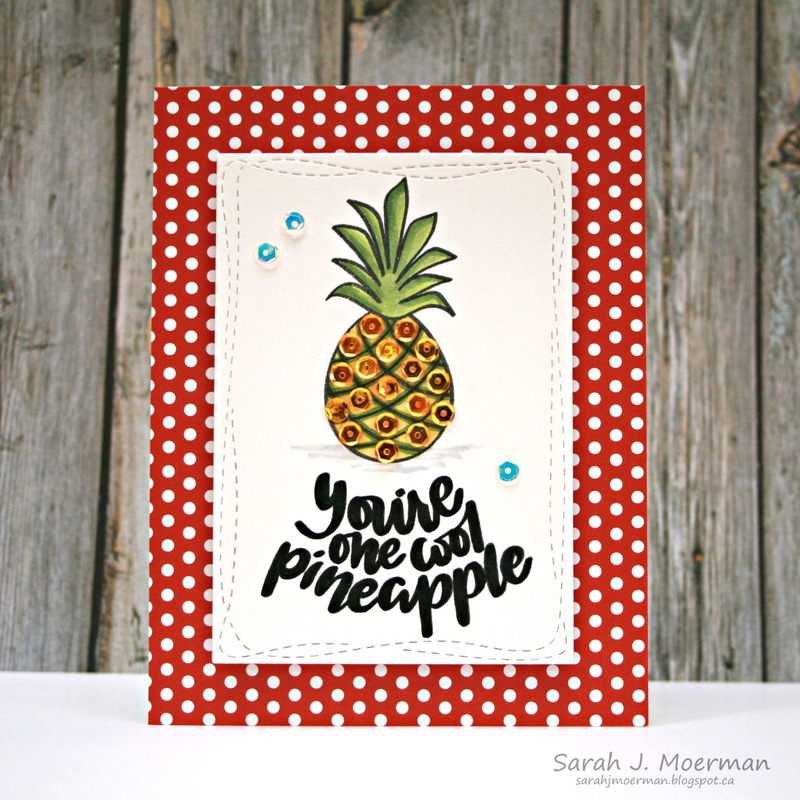 I stamped the sentiment from the One Cool Pineapple Stamp Set with Versafine Onyx Black Ink and some tiny bubble with VersaMark Ink for a subtle tone on tone effect. I adhered this panel to a piece of Island Blue Cardstock before adding the butterfly stickers, SSS Summer Gold Sequins, and stamped/diecut sun. 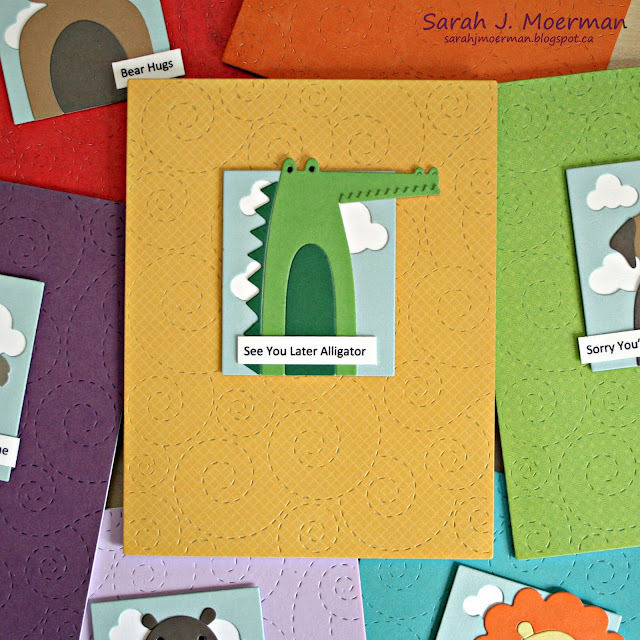 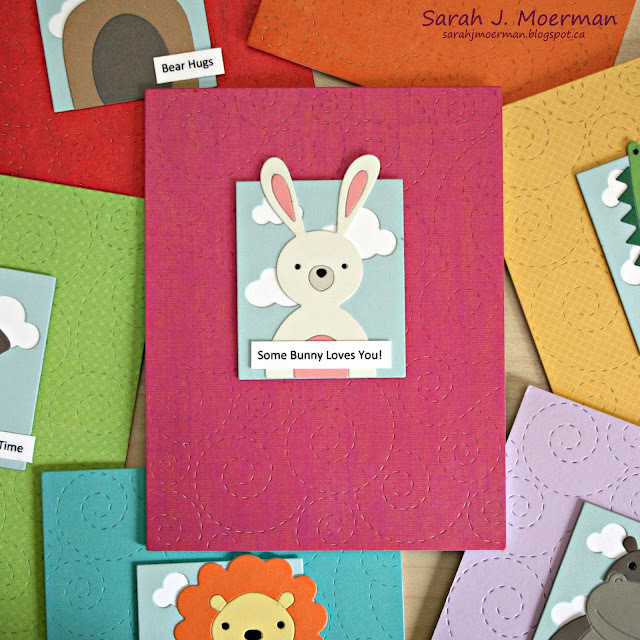 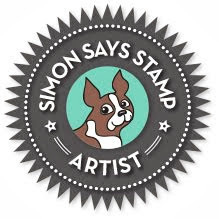 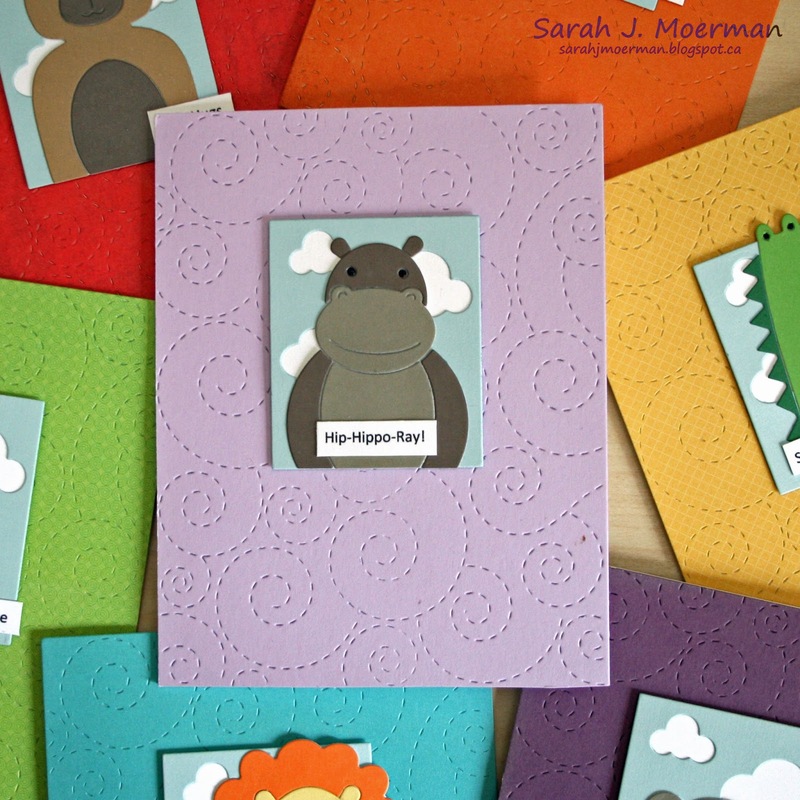 Heidi, owner of Simon Says Stamp, has given me an extra Simon Says Stamp July Card Kit to pass on to one of you! 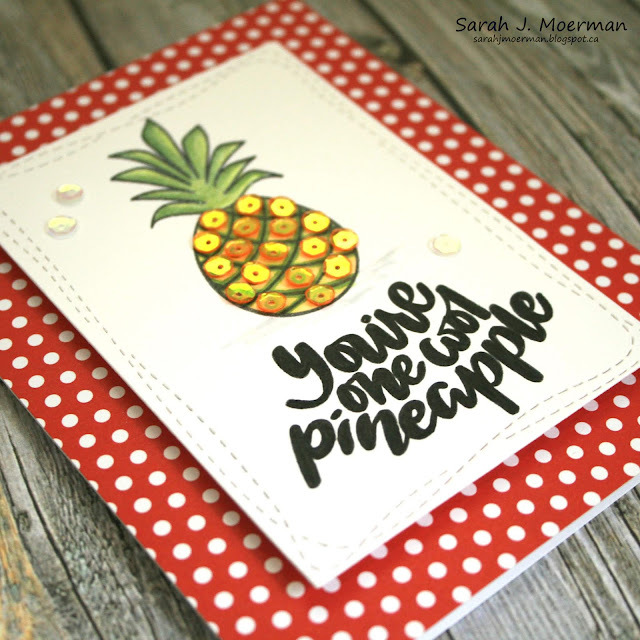 Just leave a comment on any or all of my July Card Kit posts and I'll announce a winner Wednesday June 27th. 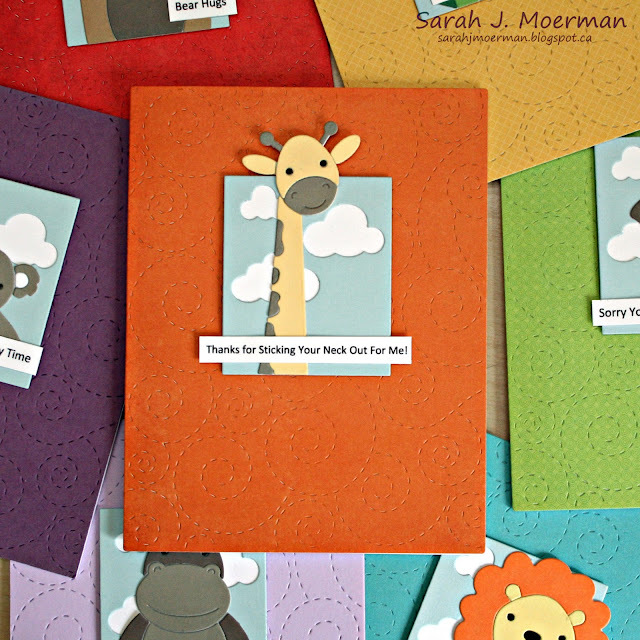 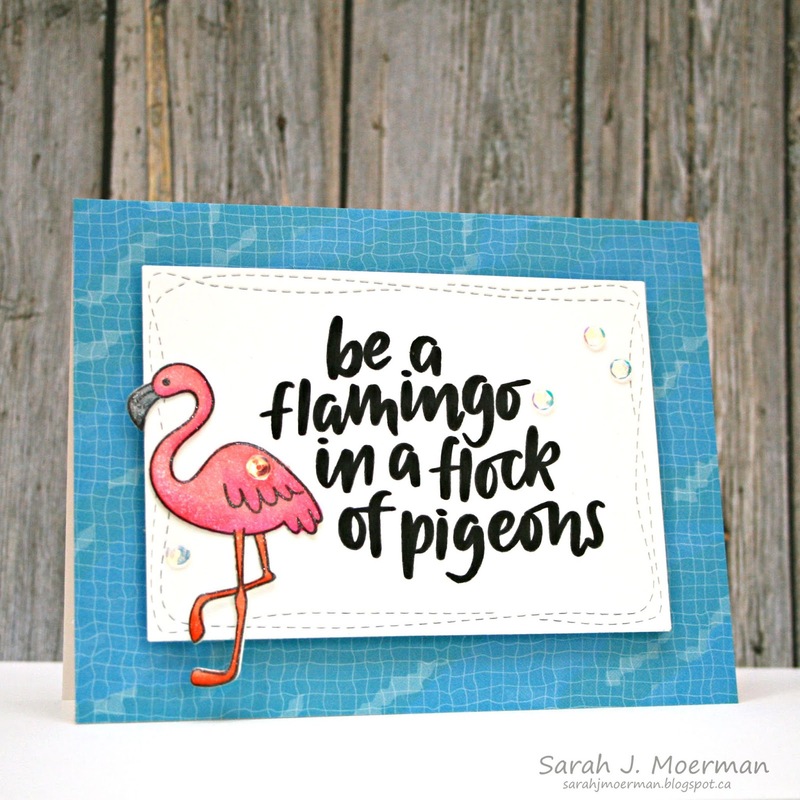 I'm back to share some more cards featuring the fun Simon Says Stamp July Card Kit. For today's cards I used most of the images and coordinating sentiments from the One Cool Pineapple Stamp Set. I stamped them on Neenah White Cardstock diecut using Simon's Wonky Rectangles Dies. 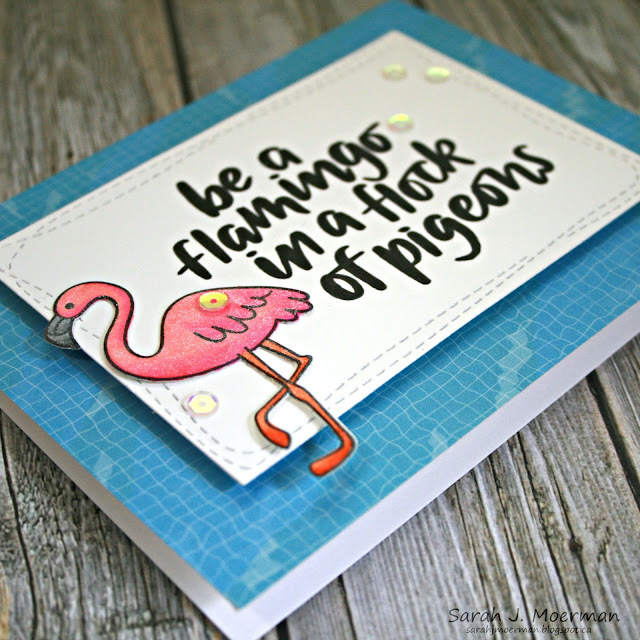 I coloured the images with Copic Markers, adding shine with a Nuvo Glitter Pen. 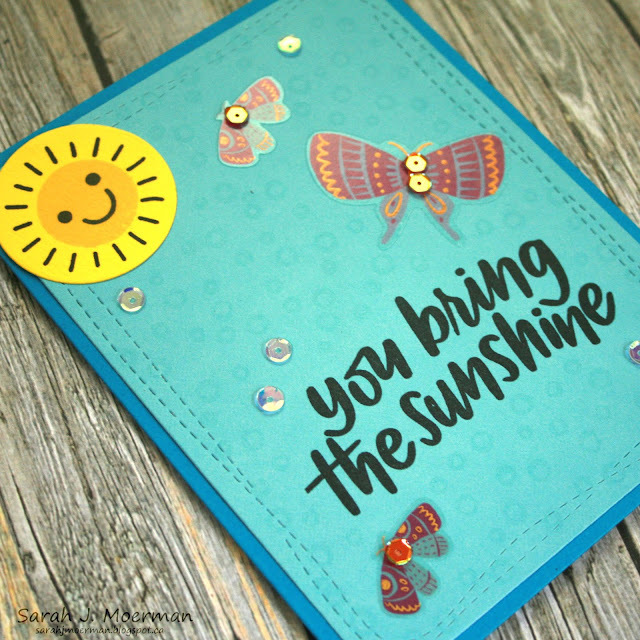 The backgrounds are all from the Carta Bella Summer Splash 6x6 papers from the kit and the stamped panels were added with the Sizzix Foam Adhesive Sheet that came in the kit as well. I finished things off with the SSS Summer Gold Sequins. 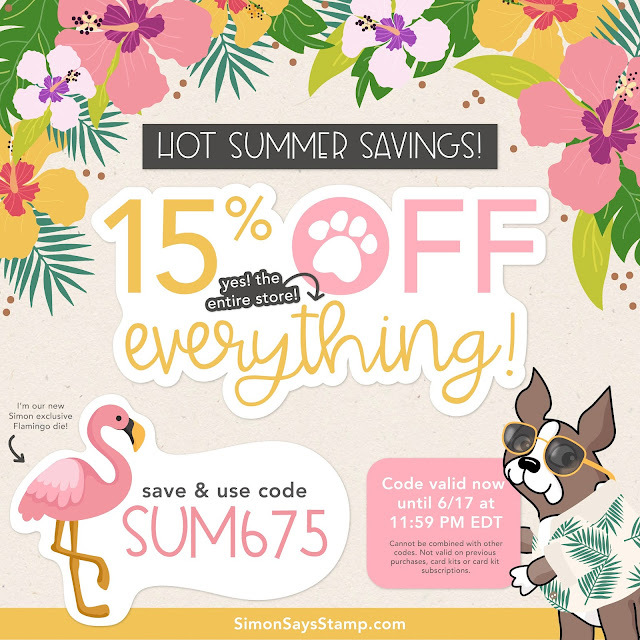 I'm finally able to start sharing some cards featuring the beautiful Simon Says Stamp July Card Kit: Cool Summer! 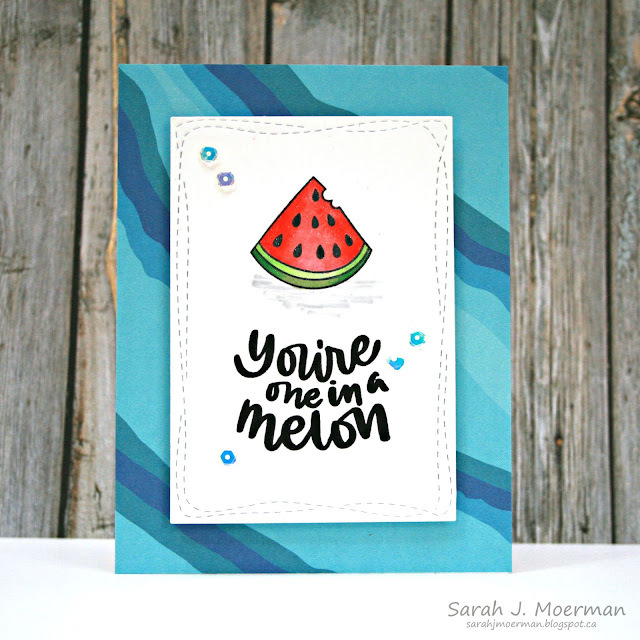 The July Card Kit has been so much fun to play with! 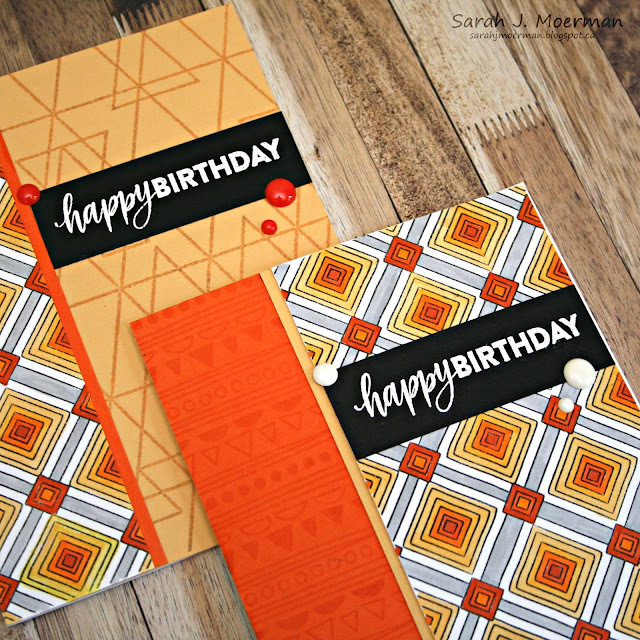 For today's cards I used my T Ruler and a pencil to create a tempory grid on the white cardstock sized to fit the solid circle image from the One Cool Pineapple Stamp Set. 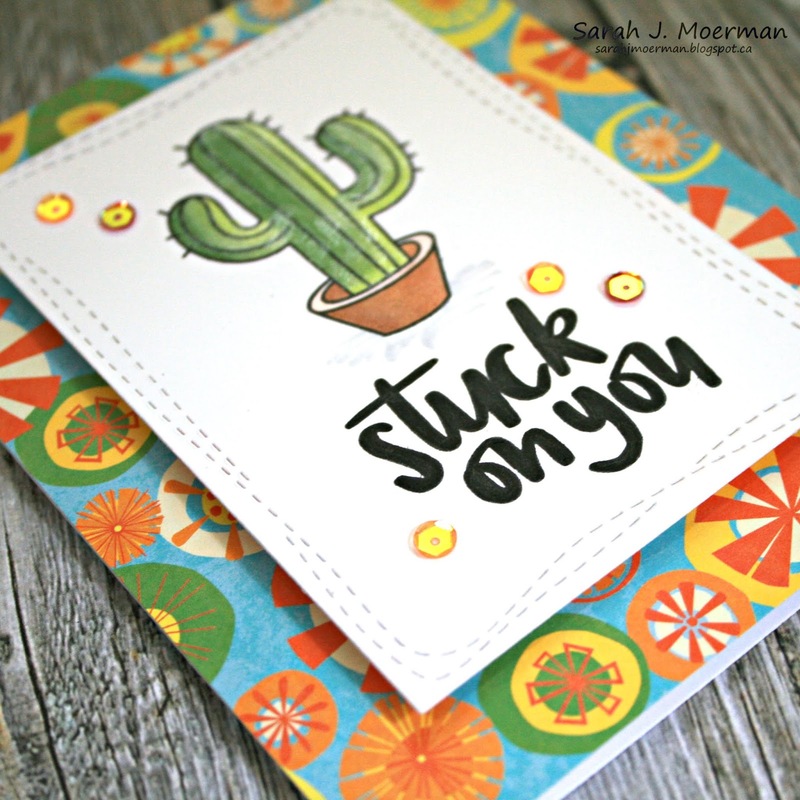 A gap was left between the 4th and 5th rows for sentiments. 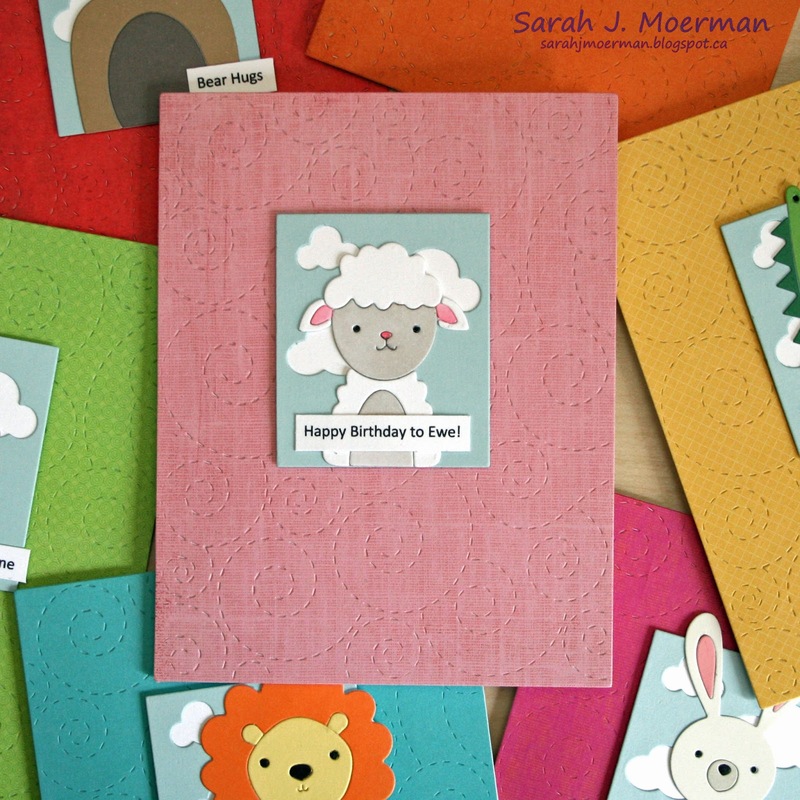 I used 5 colours of ink for each card and, like a Sudoku puzzle, used each colour only once per column and row. 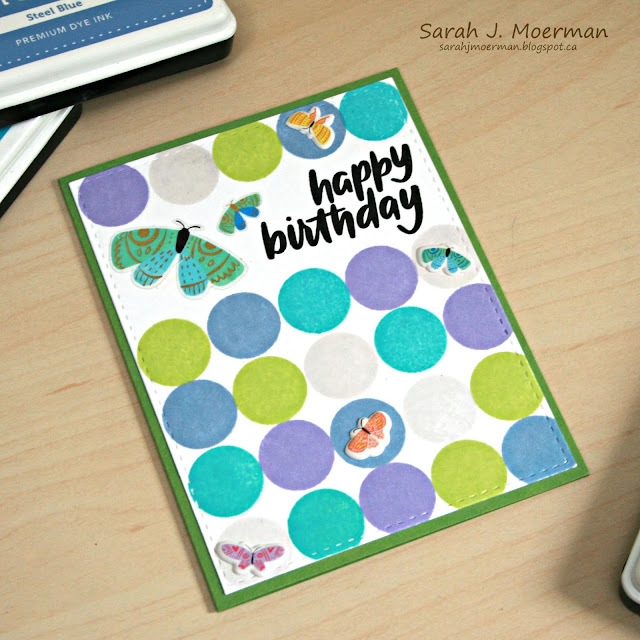 Creating the grid allowed me to stamp all the circles in one colour before moving on to the next colour. 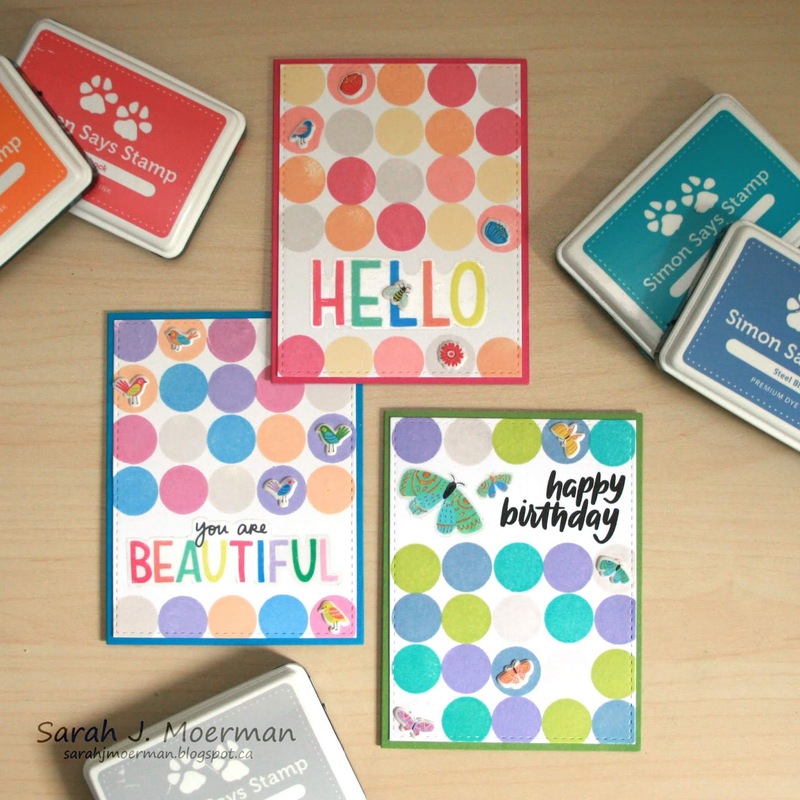 I also used Hero Arts Stamp Cleaner between colours so I wouldn't have to worry about colours mixing. 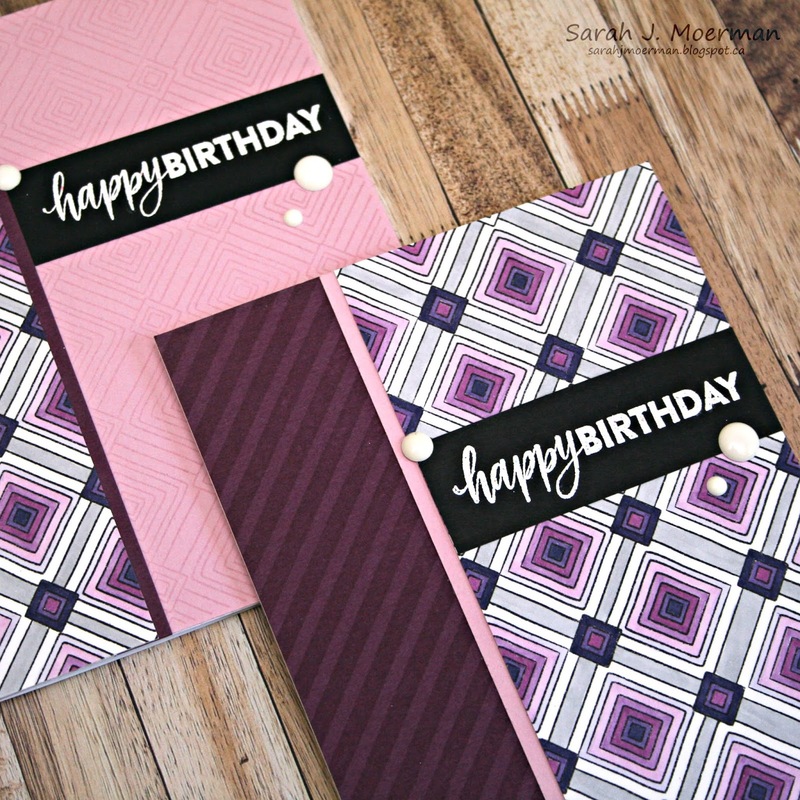 I used the rectangle from Simon's Bundle of Stitches to die cut my stamped panels, adhering them to notecards made from Simon's Doll Pink, Island Blue, and Green Leaf Cardstock. 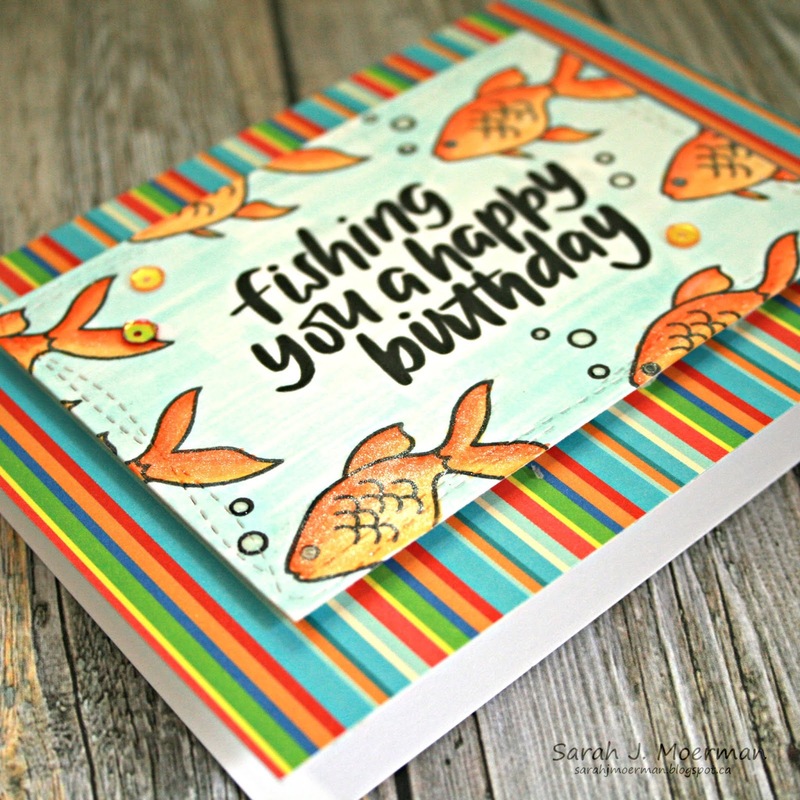 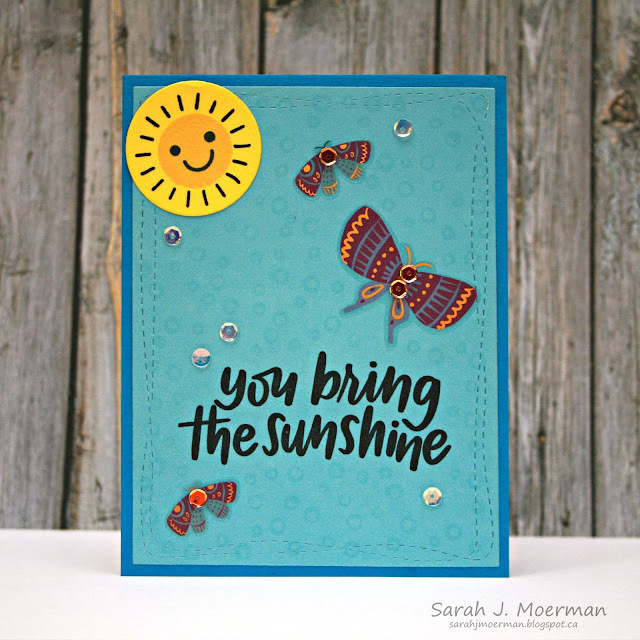 The Hello and Beautiful sentiments (as well as the larger butterflies) are from the American Crafts Amy Tangerine Sunshine and Good Times Sticker Book and the Happy Birthday was masked from the Fishing You a Happy Birthday Sentiment from this month's stamp set. 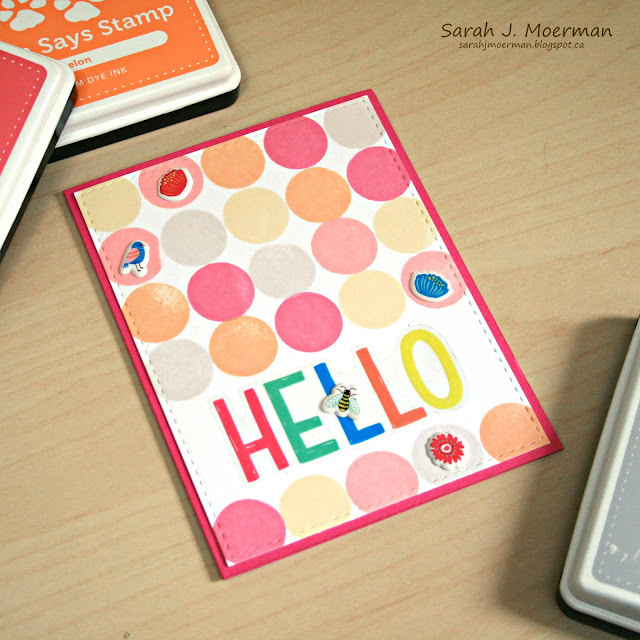 The Amy Tangerine Mini Icon Sunshine and Good Times Puffy Stickers fit perfectly in the stamped circles. Today is the day! 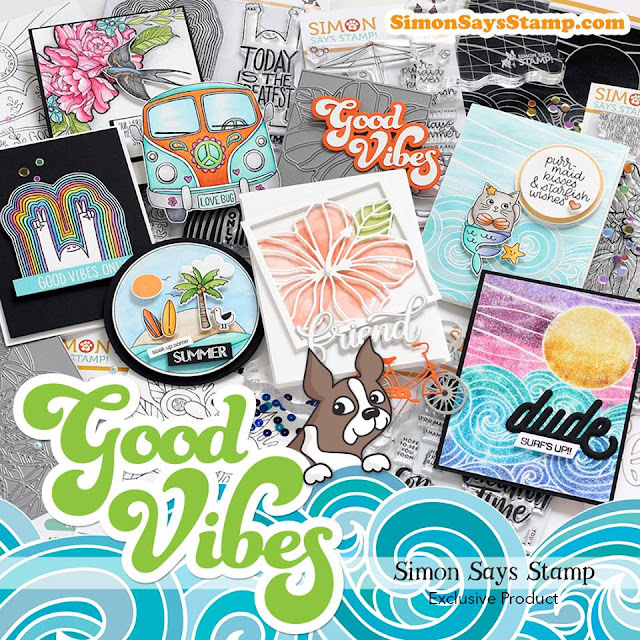 The groovy new Simon Says Stamp Good Vibes Release is now available in store! 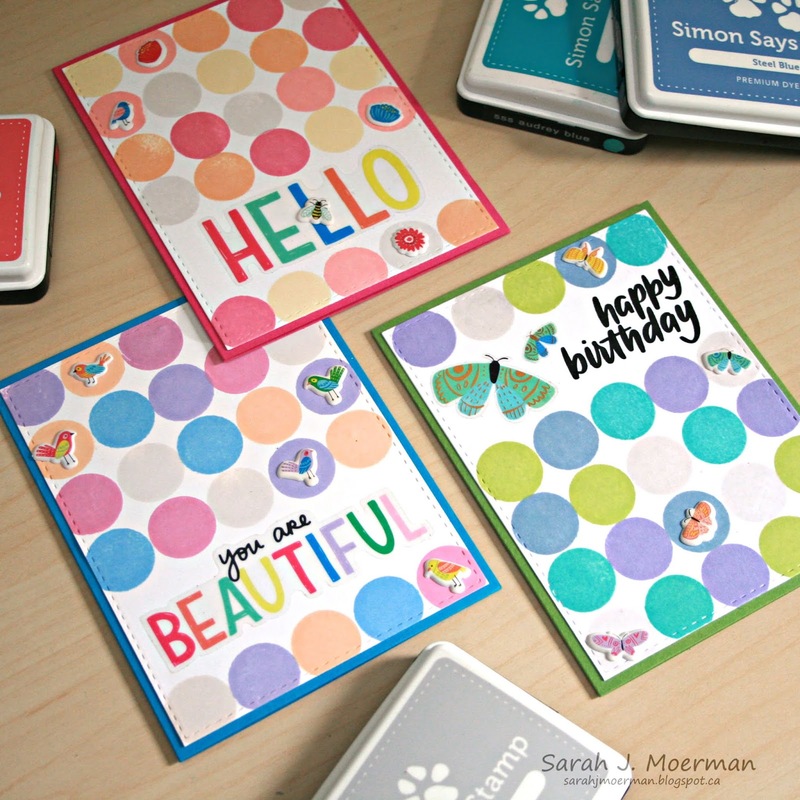 Simon sent me a few goodies to play with including their new Center Cut Geometric Pattern Stamp, Vacation Time Stamp Set, and Big Friend Die Set. I'm showcasing these three sets with my cards today. For this first card, I pink heat embossed the outer part of the Center Cut Geometric Pattern Stamp onto matching cardstock. 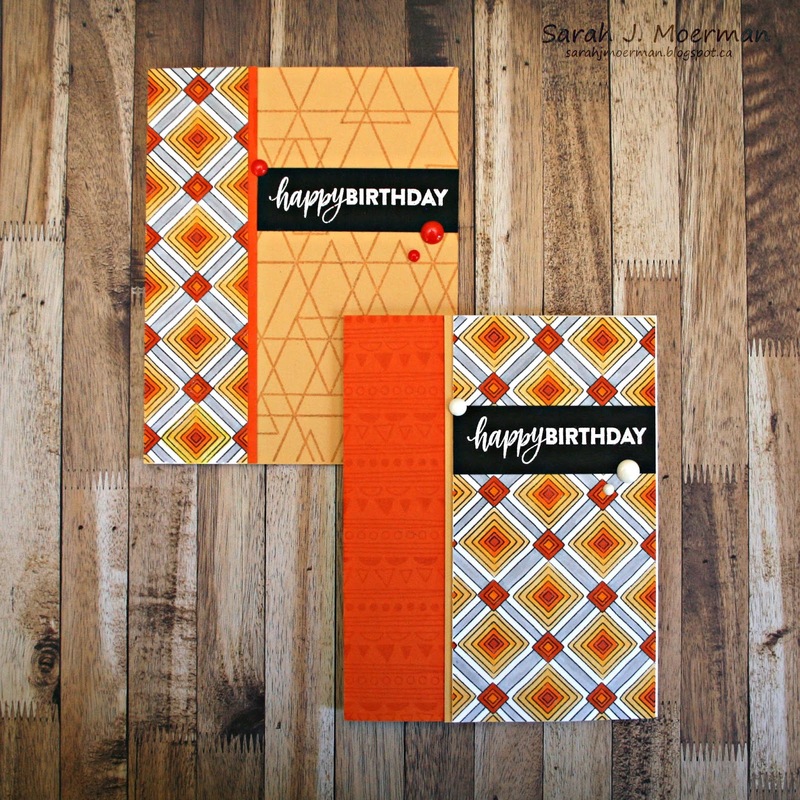 I then white heat embossed the center piece. 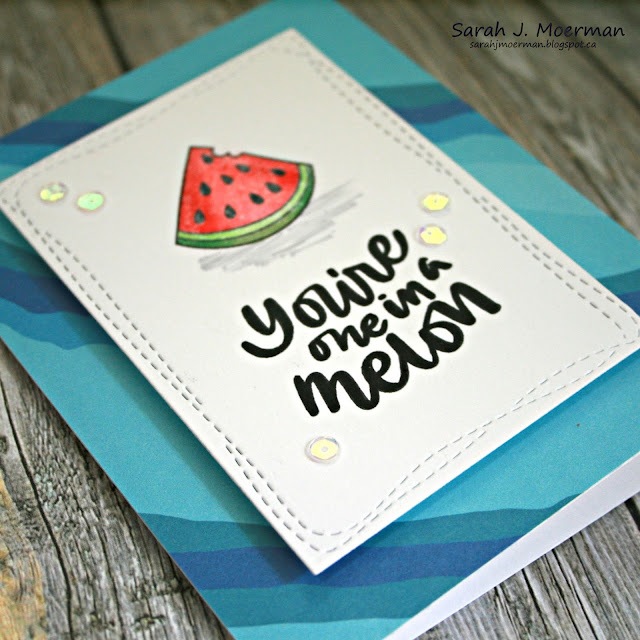 I trimmed my stamped panel down and adhered it to a piece of black cardstock. 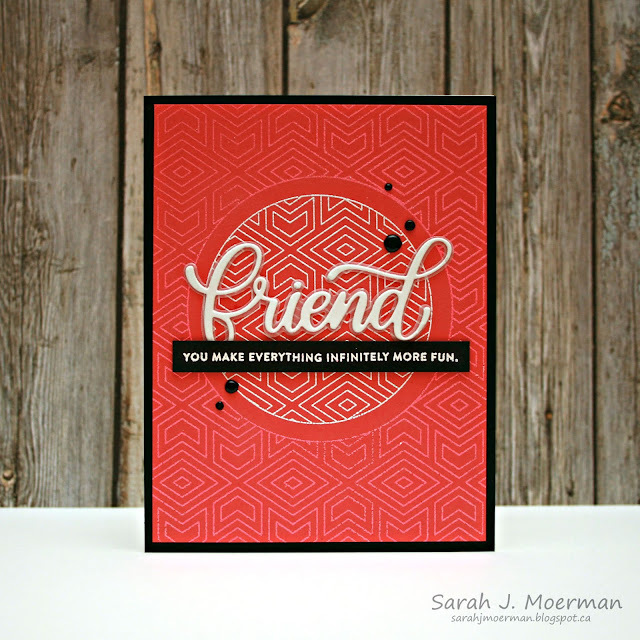 I die cut the outline Big Friend Die from vellum and the detailed Big Friend Die from white cardstock, layered them, and added them to my card. The white heat embossed sentiment is from Simon's new Vacation Time Stamp Set. 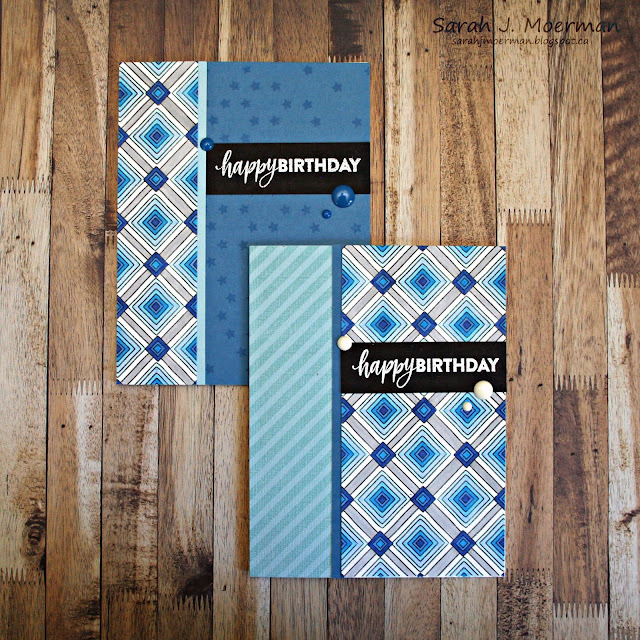 I finished the card off with some Ranger Black Enamel Accents. For my second card I heat embossed the outer part of the background with Hero Arts White Satin Pearl Embossing Powder. 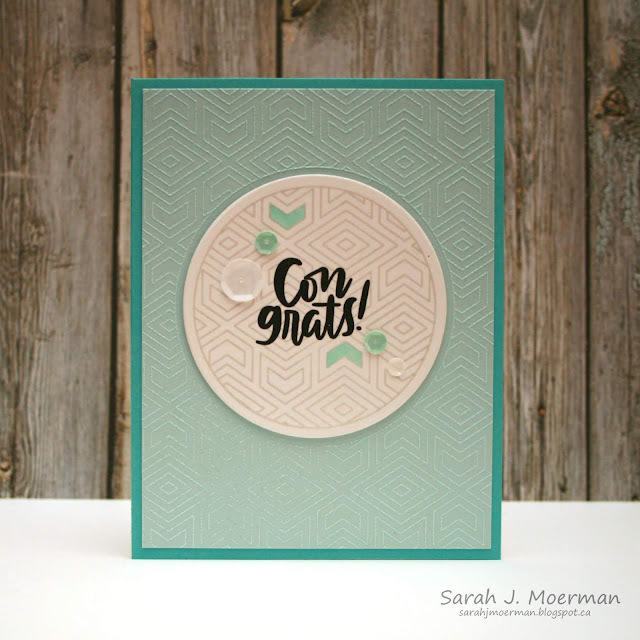 I love that this embossing powder provides an elegant tone on tone effect. 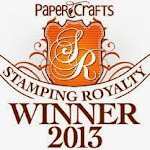 Once again, I white heat embossed the center. I diecut a circle from Simon's Vellum with one of their Nested Circles, added the detailed Big Friend Die and a white embossed sentiment from the Vacation Time Stamp Set. 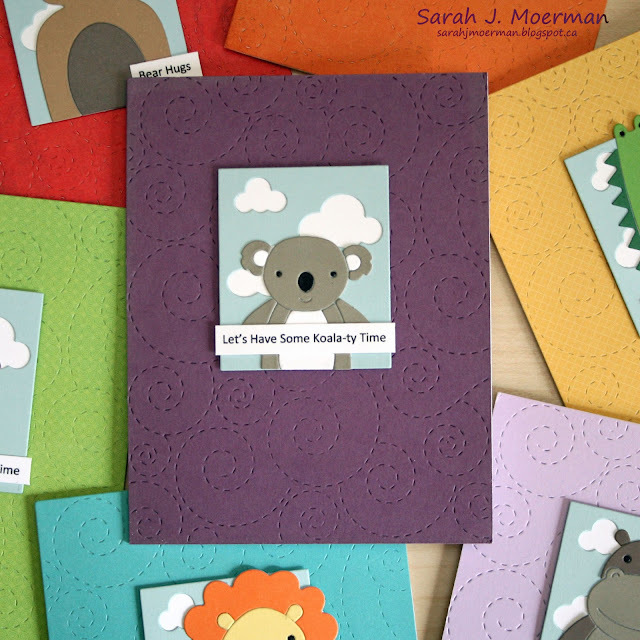 I finished things off with some of Lucy's Cards gorgeous sequins. 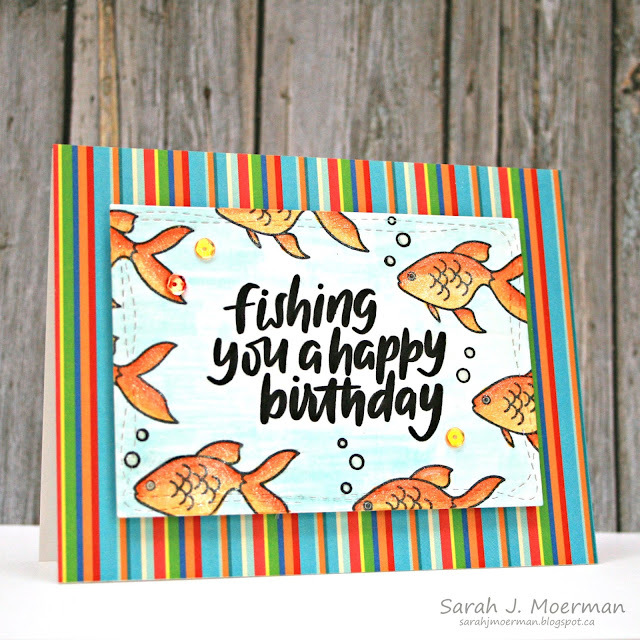 This next card was created exactly the same way as the last one except that the sentiment (from Vacation Time) was completely heat embossed. 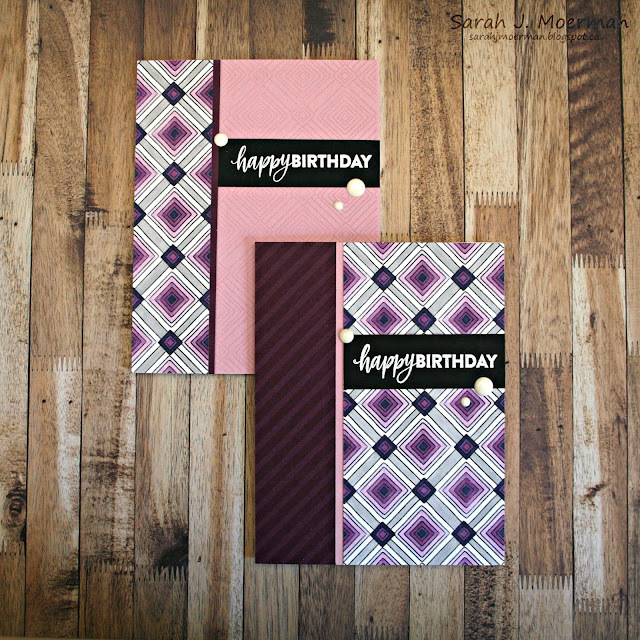 I first heat embossed it with lavender embossing powder before adding demensional details with an embossing pen and white embossing powder. 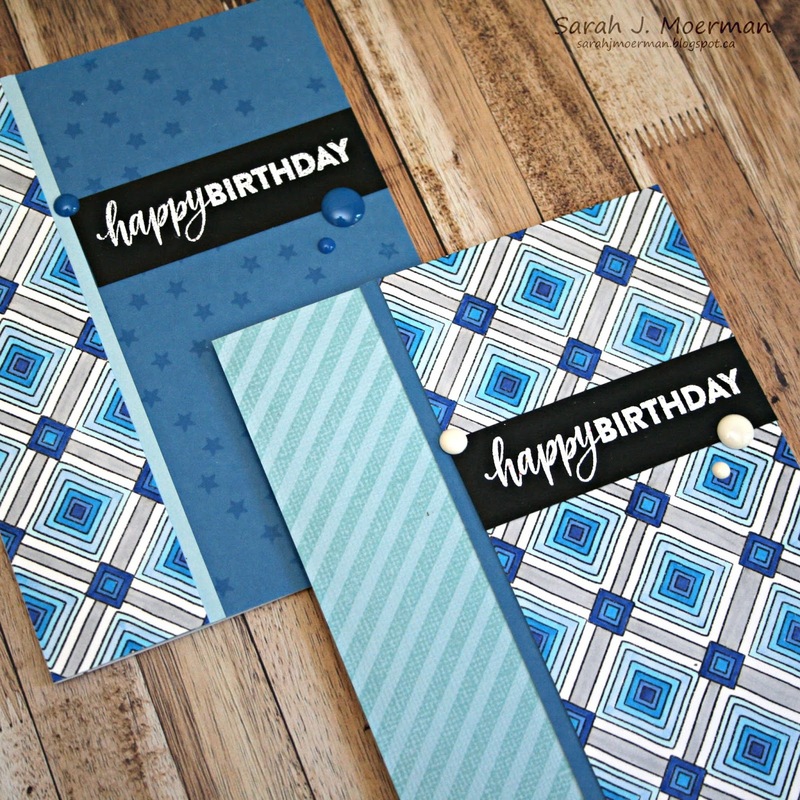 For my final card today, I heat embossed the background with blue embossing powder. I stamped the center on white cardstock with Simon's Fog Ink and die cut it with one of their Nested Circles. The Congrats! 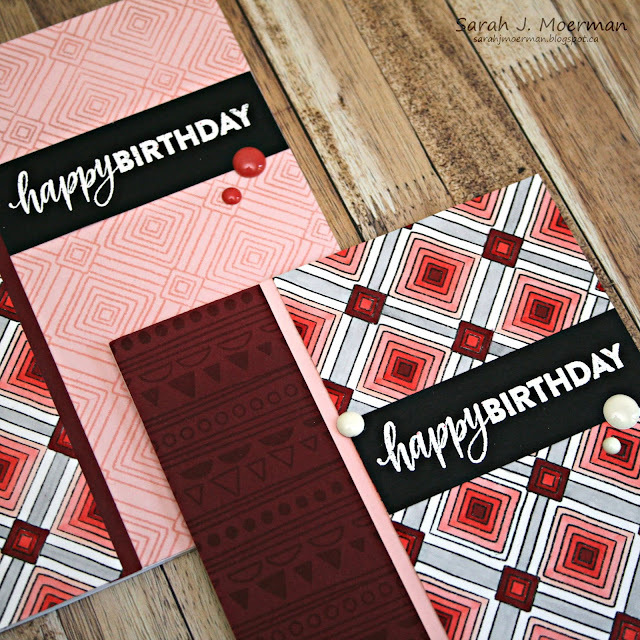 was stamped with Versafine Onyx Black Ink and I coloured a couple of the patterned images with a Copic Marker. 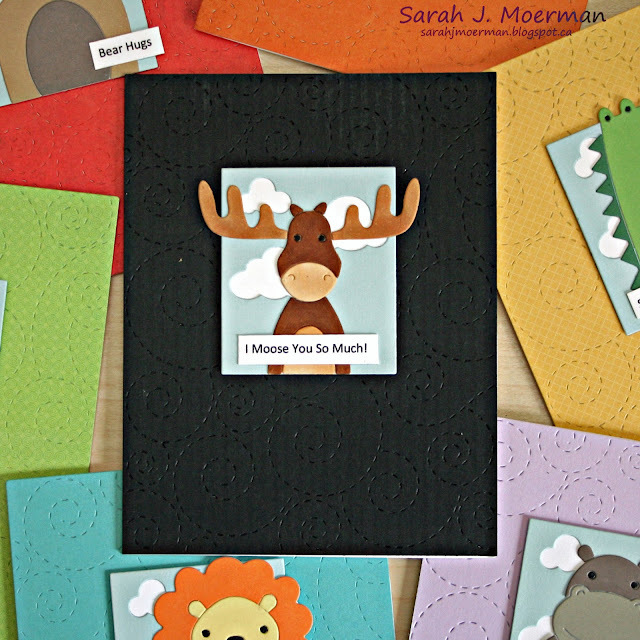 I adhered this panel to the card with foam adhesive and finished things off with a few more sequins from Lucy's Cards. 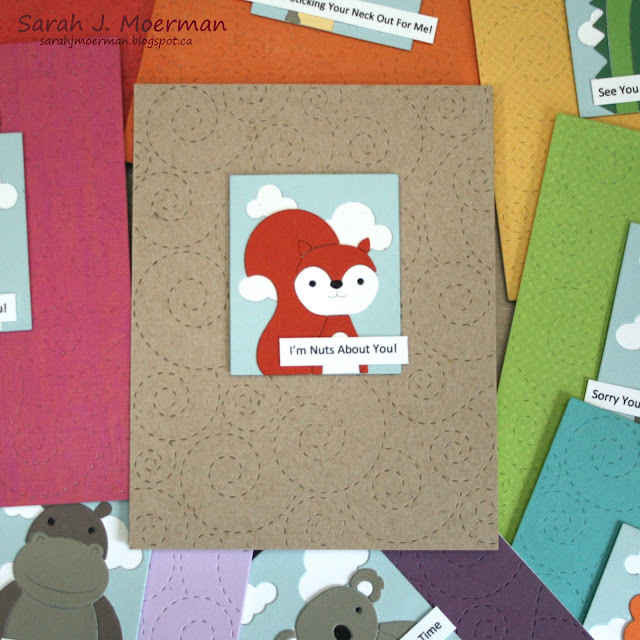 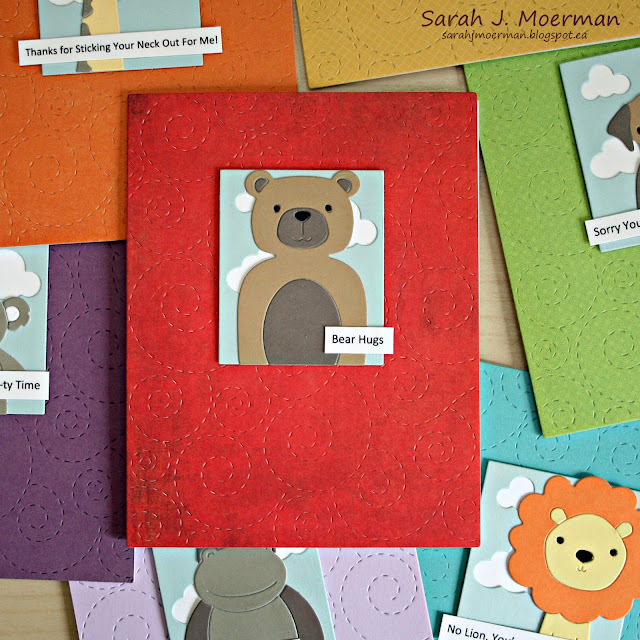 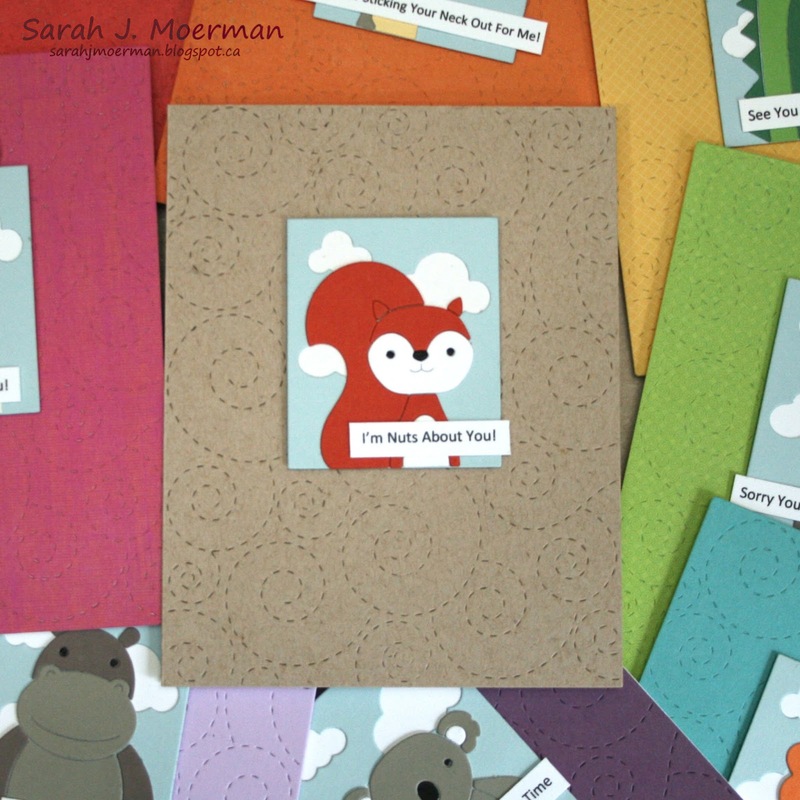 I'm hoping to make a full card set like this one in a variety of colors and sentiments. 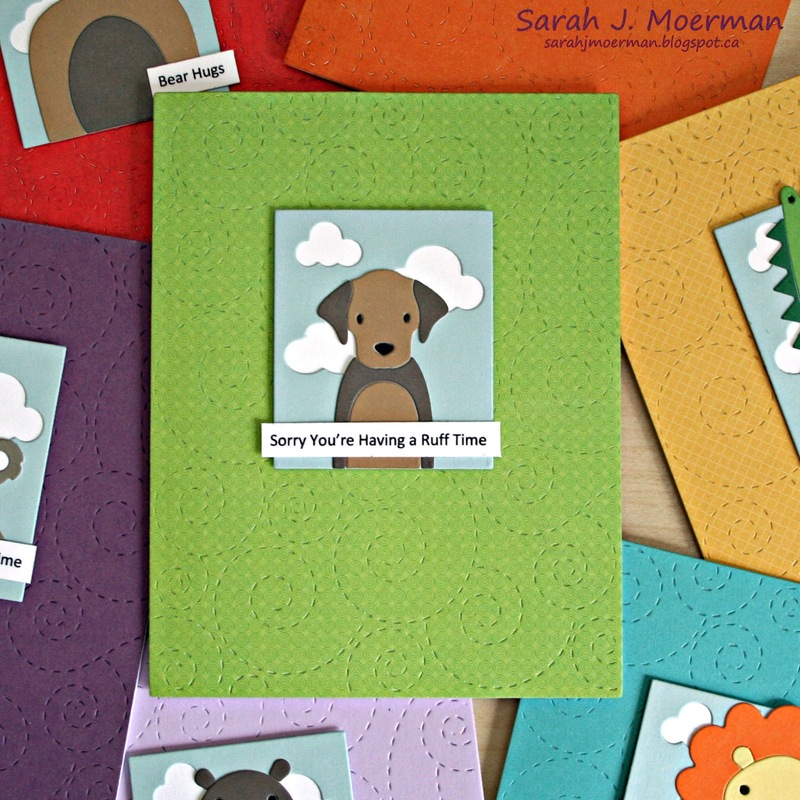 That's it for me today! 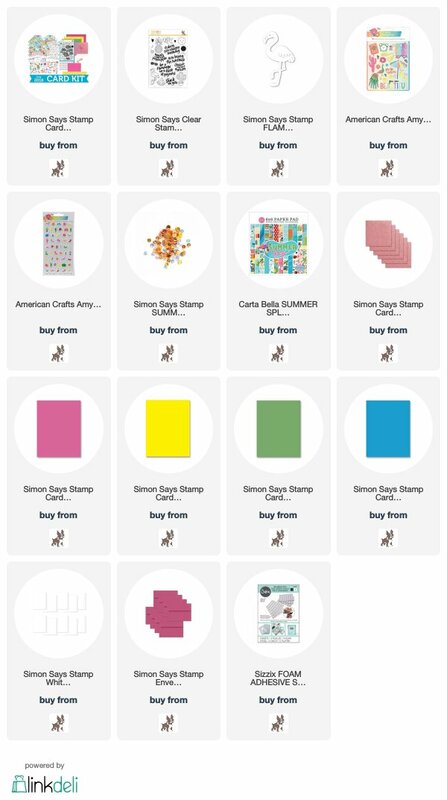 My Simon Says Stamp July Card Kit finally arrived today and I'm hoping to make some cards with it tomorrow to share with you all very soon!